The term Debt Relief encompasses so much territory, it’s necessary to break it down into bite-size pieces. In it’s simplest form, “debt relief” means to get out of debt and, for most, it means a new lease on life. People like me exist in this world to help those in debt because, unfortunately, it is not always an easy path to become debt free. It requires dedication, understanding, diligence, and sometimes even bravery. I have been in the debt and credit industry for over 20 years and I consider myself to be obsessed with the subject matter, therefore, I have lots of helpful information to share with folks. You can find me in publications like The Wall Street Journal, USA Today, Credit.com, Huffington Post, and Mashable, to name a few. Many topics are covered here in my answers to people’s debt questions, comments, and blog posts – so much so, that I’ve been forced to get organized. The menu above, and under the logo, is being relaunched as of summer 2016. In short order you will be able to click each topic listed and have a review you can access that will also help you determine which resources on the site will best help you, and how to get to them quickly. Debt relief can be a really quick topic for some, and something of a journey for others. But no worries, I can help you through the thick of it. If you have trouble finding what you are looking for, be sure to use the search box near the top of the site for help. Searching for the name of the debt collection agency or bank you are dealing with, as an example, will save you a ton of time. If you cannot find where I have covered something related to your situation, you can do me a huge favor and submit your debt and credit questions to me so that I can publish a new page that will help you and others. Just click on “Ask Michael” at the top of any page and follow the instructions. If I have a page up about your issue already, I may reply to you in an email with a link for you to review first. Left a message on your voicemail. I’m Molly Blackwell, RN grad 1 year. I have 2 charge-offs. I settled PRA today they were willing to knock off a $1000 from a $4400 debt that was from 2012. A result of medical care for my mom who lives with me. BOA was not as receptive. Chargeoff was in Jan 2017 for $4400. They were willing to take $3400 in 6-12 payments. I tried to get it lower and no dice. The rep, who sounded very young, said that an email was sent and she could not go lower than that offer. I got NO email! So, would it help if I hire your firm to try to get BOA to lower their offer? I really an eager to qualify for a mortgage and want to get things resolved. My phone is …Home today and tomorrow. Or tell me a time to call and to whom I should speak. It was good to talk with you on the phone today Molly. Do keep me posted about what happens with BofA. I contacted you about a year ago with my capital one debt of $21,920. I got duped by some guy and now I am left with that amount in debt. I am looking forward to settling because everything comes to me. The fraud department said after the investigation, they cannot call it off as fraud. Can you help negotiate a good deal for settlement? If so, what percentage should I be thinking of. The account has been charged off. Last day of payment was in February 2016. You can email me using the email address you get this comment notification from in order to set up a consult, or participate in the bot you see on the screen which allows you to set schedule your own appointment with me. I am being sued for a debt for 1,800$ bought by Midland Funding, originally from Citi Bank. Is there any way I can settle the debt or pay lump sum? They mailed me a copy of my lawsuit and it says I can call an them to settle with their attorney at Scott & Associates? If I pay off lump sum, how will it effect my credit and will my lawsuit/them go away? When did you last pay Citibank? If it was more than 2 years ago, settling now means no judgment, and it also means Midland Funding will remove any credit reporting. If you stopped paying Citibank less than 2 years ago, and you settle now, Midland’s policy would cause the account to drop from your credit when you hit that 2 year mark. I found your website by chance yesterday. I have had some really bizarre circumstances that caused me substantial debt with a major bank and at least 3 major CC companies. Total debt must be close to @$38,000. I have been delinquent since June 2014 with all, making no payments at all. I have known that someday soon it would all come back on me, and it finally did yesterday from my bank, with a total amount of @$22,000. They want to settle with options, but I am not savvy as to which option is best. Who are the creditors, and what are the balances on each account? If you are dealing with third party collection agency, or debt buyer, identify who that is as well. I can offer better feedback when I know who you are dealing with and the numbers involved. (1) Should keep calling every few days to see if Wells Fargo will come down to the 40% ? (2) Should I go and pay the Barclaycard settlement? Will the settlement showing up on my credit cause wells to hold out for their 60%? I have been able to come up with the amounts required to settle the debts with a 35% and 40% split and I don’t know how I’m going to come up with the rest. Thanks and keep up the good work. Wells Fargo can be difficult to settle with. Some people get over the hump by the shear number of contact they make, and Wells Fargo finally relents to a lower pay off amount, and others just let a lot of time go by before they try again. The issue can become getting sued before they agree to the lower amount you can afford. I think you will get where you need to go with time, but for other readers, like I suggest with AMEX, call in for a consult to go over your situation if you have Wells Fargo. You can still get Wells Fargo to settle for a lower amount with the other account showing as settled on your credit reports, but you have to know they can see that, and that it will sometimes make your efforts harder. 1) I am starting to settle my collection accounts I have 2 accounts with second round, one for $1771 and one for $1481 both started as synchrony. Another agency has 2 accounts (national credit adjusters) one for $896 another for $1300 both started as RISE accounts. When negotiating will I have a better chance of settlement by trying to settle the 2 accounts at once with the respective agency? If so what’s the best strategy ? 2) once I have the agreed upon settlement letter from the companies. What would recommend as the best way to pay? ACH, certified check or money order? Any suggestions? Check out how to negotiate with a collection agency, and how to pay your settlements. Thank you for your comments during my negotiations with UCB and Citi Card at a time when I had a hardship event. Your information was very helpful and I was able to close out the account for $5,000. Nice work BJ, and than you for coming back to post the update! People reading get so much from knowing how situations turn out for others. What the hell is this? I never heard of WEBBANK..
Webbank is basically Santander. They are often the financing that underlies many online loans. You know you are dealing with them when you look over your loan documents and see Webbank in there. Hey Mike! I’m have about 30k worth of credit card debt. All about 6 months to 1 year delinquent.
? What will this take for lump sum settlement? I have about some saved up now. Can you pull together 11k, and if so, how quickly? I am being sued by a credit card company. I don’t dispute the debt and would like to settle in terms affordable to me. I don’t make a lot of money and I have student loans to pay every month. What is the best way to go about settling? Check out this post about negotiating settlements once sued. Sometimes you can avoid the entry of judgment when you opt for a payment plan, other times you cannot. How much is Patenaude and Felix suing for? Who is their client? Do you still have time to file a defense? Check out this video about using the fact you were sued to your advantage. Hi Mike. This is B. J again. I just received a letter from UCB outlining the settlement. I feel certain this is a reputable agency, but how can I be sure they are forwarding this payment to Citi. They are demanding this payment today. I’m nervous about this settlement yet I think this is a good for me. What are your thoughts. Do you have any other comments that might be useful to me before I make this payment. Would need a speedy reply as I’m running out of time. Just call Citibank and verify that they placed the account with United Collections first. If they confirm it, you are good to go. Hi Mike. I have been working with United Collections Bureau regarding.a Citi Card debt. Of $19,000. I received a call today that Citi will accept $5,000 to clear the debt. I have asked for a contingency letter outlining the details. United keeps telling me there may be tax consequences with this settlement. Can you elaborate on what the tax issue may be? B. J. You bet, check out more about tax on cancelled debt. People claiming to be with Midland Credit have been contacting my husband by phone everyday all day demanding payments for a credit card he had about 4yrs back. Hes been working to rebuild his credit and we have no problem paying the debt but we want to see something on paper, a bill. They get rude and insist we pay immediately over the phone or website and demand our bank account number. We just want to see a bill and they either refuse or say they have mailed it but we’ve never gotten anything. The amount they are asking for is like $700 more than what the limit of the card even was. What should we do? You could send a written request for debt validation. That can often help diminish collection calls until they send you the information you are seeking. Be sure to send your letter certified mail. Here some examples of letters to send to debt collectors. We just received a letter from United Collection Bureau today offering us a great settlement offer. Citibank is the original creditor and our balance is $5800. They offered $2700 settlement. Unfortunately, we do not have the money to do it by the date they specified (end of Feb). Are those dates something to get hung up on or will they likely be able to settle after that, as long as the 60 or 90 day window isn’t passed? 2017 is our year to dig out of debt so I want to make sure we go about this the right way. What if you were able to call United Collections Bureau and get the same deal spread out over 3 to 6 months. Could you follow through with the settlement then? I have never made paument arrangements through midland. It has been over 2 years since i have defaulted on the original loan from check no go. Maybe even closer to three years. How can i go about getting this removed if possible? Check out Midland Funding’s credit reporting policy. Read through that and see how your account may qualify for removal once you resolve the bill. Fill in the talk to Michael form you see in the right column. I will see that and email you to set up a time to connect on the phone. I want to cover your individual creditors, and the amounts you will need to settle with them. I’ve settled to accts….bank of America 3000 for 6500 balance and one main financial 4900 for 12500 balance….I have 2 more to go but are big ones. 33000 owed to lending club that was placed with vital recovery services.llc and 28000 owed to best egg loans which was sold to Northstar location services. I live in texas. Are either of these 2 agencies more likely to sue than the other. I could only make payments on a settlement agreement as a lump sum for such a large balance is more than I have. Should I try to make payments with one or the other? Your debts were not sold yet, as those agencies are not buyers, just contingency debt collection agencies. Neither Vital Recovery nor Northstar Location Services is going to sue, but that is going to become a real concern later. If you want help setting up a strategy to deal with both of these fill in the talk to Michael form in the right column. I will email you to set up a phone call time later this week. Check out this post about settling medical debt, and watch this video about illegal discounting on medical bills too. Negotiating lower pay offs on medical bills is not a gimme. Getting 25% deals even less so. I have an outstanding balance of $35,000 with American Express. I am 70 years old and retired. the payments and interest are killing me I would like to negotiate a lump settlement. I am not behind on payments and have never been contacted by a debt collector for any reason. I called the number you suggested in your You Tube video and they are going to call me back during the work week. If you go with settling your AMEX account I would not offer 70%. I would hold off for a predictable amount of time and negotiate to 40 or 50 percent. I am not a fan of touching your retirement account unless there are no other alternatives, and settling is imperative to protect you from other escalated collections. Once I dig in to the details, I am often able to suggest alternatives. Fill in the talk to Michael form in the right column if you would like to set up a phone call with me. I am hoping you are able to help me! I received a letter from Ferry & Nicholas saying that there is a lawsuit against me from a debt collection law firm, Schrier, Tolin & Wagman, LLC. Now I haven’t been notified or served any papers but did go fishing for information and found that in Maryland there was a lawsuit filed on 1/23. So my first question, is how have I not been notified by the court yet? I want to make sure that I respond to the complaint within the allotted amount of time. The complaint on the court website is at my old address however I did file a change of address with USPS prior to the 23rd so I don’t know if I should call the court and ask for the complaint to be proactive or just wait? The lawsuit is for 3,637 from Cavalry SPV. They are not the original debt owners and I was never (at least not that I can find) notified that they took over the debt. I think this debt may fall outside of the 4 year statue of limitations. Where is the most accurate place to see where the clock started? Even with the transfer of debt, I have not made a payment so they cannot legally start the clock over just because this new company bought it, right? Lastly, while I could potentially scrounge up 50% to just settle prior to court that could put my wife and I in financial hardship for at least a few weeks. What does a payment plan entail? I am married however have no joint accounts with my wife and we rent instead of own. I am also a full time student with no additional income outside of student loans. Is it worth working out a payment plan with the attorney prior to court? Doing that in court? Unfortunately, there are 4 other credit cards out there – I believe all currently with Midland Funding LLC. Does the likelihood of me getting sued by those others go way up if I settle prior to judgment for this one? While we could potentially absorb this one, we really are not in a position to respond to a flood of these. Thank you so much in advance for any advice you can provide! First things first. You need to determine when you stopped paying on the accounts. The SOL to legitimately sue in Maryland is 3 years. Go through your bank records to determine when you last paid and let me know what you find. You can look to your credit reports to see when the original credit card lender showed you 30 days late too. I am having trouble finding the start date. I’m sure it’s a silly question, but where should I see it on my Experian credit report or Credit Karma? Cavalry is willing to settle for $2000, and as long as settling for this one doesn’t end up upping my chances for the others I am willing to go down that road. The is often a DOLP (date of last payment) designation that will show when you stopped, and sometimes you will see a colored box graph that shows when you were first 30 days late. Settling with one debt collector has a tendency to turn the focus of other debt collectors to you. That can be managed, but with less stress when you know they do not sue by reputation, or because the SOL to do so in your state has passed. Thank you for such an interesting article. I am currently in a dyer need of help with my debt, and I make just enough each month to pay minimum payments for my credit card debts with nothing extra to spare. I had filed Chapter 7 about 8 years ago, and got myself in this mess again. But I am determined to clean up my mess and start over again. I am older now and I need to think about my future with my financial situation. So right now I have about 18 credit cards with total debt around $27,000.00. I am leaning more towards Debt Counselling to lower my monthly payment. I have heard that Debt Consolidation is not a good option, and also based on your article. I would appreciate if you could guide me towards the better option for me. I have been current with all my payments and never late. But I don’t think I can keep them up anymore. List the banks you owe and the approximate balances. I can better compare options from there. To start, with a 27k total debt load, can you afford $513 a month consistently? So the above are the list and amount of money I owe. As for the monthly payment, I think I would be stretching it with $513.00 payment. I was trying to see if it could be around $400.00 monthly. Also, is there anyway I could schedule a phone call with you? I just want to make sure I am not leaving anything details behind. Again, Thank you again for your help. You can call 800-939-8357 ext 2. You can also email the address you get these comment notifications from (those come to me) to set up a day and time. Even if you got all of those banks to allow you to pay the debt back over 5 years with zero interest you would not see a $400 monthly payment. That leaves settlement or bankruptcy as realistic options. Assume you will need 10 to 12 thousand dollars in order to settle those accounts. If you saved $400 a month it could take more than 2 years to settle. Taking that long to settle can become problematic for many. Can you add more money than just the $400 a month along the way (tax refund, bonus, side hustle)? Thank you or taking the time to answer me. I have emailed you through the email notifications I received from you to set up the date and time for a phone consultation. I look forward to be talking to you. I have been contacted by American Express legal department. They have an office in Ramsey, NJ. I do not think they actually are American Express employees but are a third party debt collector. I owe Amex 14k. I still get regular statements from American Express that have a due date and a minimum balance due. I also have access to my online account to make payments. My account is cancelled however. Can I work with American Express directly by calling customer service or do I have to deal with this “Amex Legal” collection agent. I want to settle in full but need about 3-4 weeks to do so. :Amex Legal” is threatening and saying I need to pay by the end of the month. Any advice would be appreciated, especially on whether or not I should contact American Express directly to arrange payment or do it online. My account is about 5-6 months past due. Thanks much for your assistance. AMEX does have their own legal office there. It’s kind of an oddity, but it’s real. And you will need to work through them to resolve the debt now that its in their office. You should be able to delay them 4 weeks to get full payment. You may need to make a good faith payment and provide the details of your plan. Let me know if they balk. Thank you for the reply Michael. I can’t see why they would not wait 3 or 4 weeks for full payment. There only other remedy would be to sue, right? If they say no, do you have any pointers on what to say or how to negotiate ? Actually it’s only a little over 2 weeks that I need. I will need till February 15th. Any advice on how to negotiate this ? I am not asking for a settlement or a discount on the debt. Why do you think they are playing hardball and what should I do ? Should I simply say I cannot pay by the end of the month? That’s all I can do. What can they do if i cannot pay by the end of the month , it’s the truth and I can offer them an alternate solution. I would just do what you are doing and get to the day when you send in the full payment. If they sue in the next couple of weeks it is still possible to pay and get the case dropped. Let me know if that happens. You can still pay the balance off in full even then. I would just call and be convincing about your following up in weeks to pay, and offer a good faith payment today. Sorry if I am posting this twice but I am not sure if you saw my reply in a prior conversation regarding my Prosper loan. I received an email today from Prospser informing me that my loan was bought by Velocity Investments, LLC. Charge off balance was 22,500. Do you have any idea what they will settle for? Should I contact them or wait for them to contact me? Any guidance is greatly appreciate! I suggest calling in for a consult when dealing with Prosper loans sold to Velocity Investments. Your time line and amount to try and settle for can be far more individualized than dealing with credit card debt buyers. Ok. Thank you Michael. Is there a specific time I should call? I emailed you to set up a time. I am usually in the office from 8 am through 6 pm pacific time. I used Freedom Debt relief last January for $33,000 of debt. They have settled 3 accounts, with 3 left to go. I’m worried about my credit score and how long it will take to settle the last 3. I’m wondering if I should stop the program and deal with the companies that these debts have been charged off to. Or should I just keep going with FDR? Any help would be appreciated! What are the balances and creditors, and who is collecting on each account today? My feedback can vary depending on the answers. Also include how long it will take you to pull together 40 percent of the balances owed today. The collection agency is United Collections Bureau. I have sent a hardship letter with sn offer to borrow $5,000 from a family member to settle. I am not all that optimistic you will get the 5k approved, but you are really close. Let me know what counter settlement offer UCB comes back with. I live in georgia in 09 i had to terminate my lease early due to no fault of my own. Moved in in 08 property manager already knew i had a workmans comp claim and recieving workmans comp checks. Lease agreement was 1yr set up for weekly payment rental. Workmans comp stopped my checks unjustifiably and informed by my attorney that he could not give an estimated time to have this issue corrected. I made sure that the property manager was well informed. With no estimated time to have my checks reinstated, the only thing possable was to vacate the property or face unability to pay rent on time plus late fees and eviction proceedings. Athough i had been a previous tenant and left on good circumstances. Im am being sued in the amount of less than 2000.00 for the second time. I made honest attempts the first time about 200.00 with no source of income until i could no longer. i am now perminantly disabled on ssi of 649.70 a mth. On many medications from depresstion to highblood pressure, sezures, pain meds for chronic pain, i have loss so much including my voice due to major neck surgery and an unhealed surgical proceedure. and im afraid of loosing my home and what little i am managing to barely hang on to. Fyi in a frenzy i made an inquiry of the residence for which i am being sued for and found that the owner has sold the mobile home park back in 2014 and yet still pursuing this issue. Their not the only ones i owe monies to.. However all other creditors have been understanding and compationate in reguards to all my misfortune. Granite my credit is shot to…. Now.. What am i to do. Worried sick. Thanks for your time and or any words of comfort if any that you may be able to provide for me. Check out this article about exemptions when your income is protected. From the sound of it, you are essentially uncollectible. You could do nothing and they would be unable to force payment, or look at filing chapter 7 with low income legal assistance (to keep costs low and still have professional help). I am negotiating with a credit card company. It is 60% of the amount owed. Toward the bottom it reads . “As of the date of this letter, you owe 6117.09. Our client may assess interest on your account which would increase the balance. If interest is assessed, an adjustment maybe necessary after we receive your settlement payment.” I find this highly suspect. I wantd t to send the letter but can’t on my cell phone. Could you call asap as I have to respond next week. I don’t have a phone number to call you. But don’t post it in the comments. Just fill in the talk to Michael form in the right column or call me at 800-939-8357 ext 2.
Who is the collection agency you are dealing with? Who is the original creditor. That language is unusual on a settlement in full letter. Can you continue to afford the minimum payments? If you can, I would look to pay them off using a credit card debt roll up strategy. If you can afford your monthly payments, but only at a lower interest rate, look into credit counseling in order to consolidate credit cards. If you are looking at settling your credit cards for less, post who the card is with and the approximate balance and I can help you understand how much money you are going to need and when. My prosper loan has been charged off. Prosper tells me it will be sold to a debt buyer. I understand they sell their delinquent accounts in bulk to a single buyer. Any idea who the buyer might be? Will the debt buyer automatically sue me if I’m willing to settle? And will they settle for less? Thank you for your input Michael! It’s greatly appreciated. You can still settle, and before being sued is preferred. How much time will you need to raise 30% of the balance on your Prosper loan? Cach LLC has been buying up many unpaid Prosper loans, but they are not the only one of late. I have $9000 saved to offer as a settlement. Do you really think they will settle at 30%? I am a nervous wreck waiting for whomever bought it to contact me. Thank you for your response. I will keep you posted when I hear from them! That is often the floor, and sometimes you have to go up to 50% (more in unfortunate situations). Let me know who contacts you, or call Prosper in a couple weeks and ask who they sold your account to. Prosper informed me that my loan was sold to Velocity Investments. How soon will they contact me? Is the floor still 30%? Thank you for your input. I will keep you updated on the outcome! I paid over $500 on a settlement for Santander through AFNI & the credit bureaus shows a charge off. I called AFNI & they said your company is responsuble for reporting this information.. I would appreciate it if you would take care of this. This was paid in 2015. There is some confusion. CRN has never credit reported on anyone for anything. We are a primarily a self help education resource for people struggling with debt collection and credit reporting issues. I would call both Santander and AFNI and get the correct information you need. You may also be interested in reading this article about how to dispute items on your credit reports. So let me begin…. I roughly owe $18,000 in credit card debt. I used a sketchy 3rd party debt company that I thought had my best interested in mind. Comes to find out… they never did anything about my debt. Therefore my most important CC went into collections and now I was served by American Express. I contacted a lawyer to see what my options are… because I don’t have the money to settle. Is bankruptcy my best option or are there another solution.??? Filing chapter 7 bankruptcy is often the quickest and least costly path to debt relief. Read through this article about working with a bankruptcy attorney and then call and consult with one in your area. If you learn something that keeps you from filing chapter 7, post an update with how much AMEX is suing for, and a list of your other creditors and balances. I am trying to settle an account with Commerce Bank for $2100. It will be 4 months behind on the 23rd. They offered me 30% off on 11/30 and the same again today. Is this the most I can expect them to offer? Should I call again next week since it cycles tomorrow (23rd)? I have been struggling with my bad credit for years. It is like a punishment for adults. Because of my score, I am paying over 20% interest on my car vs my mom’s 6% !! My husband and I would love to buy a house on or before we turn 30. We have 3 more years and about $6k-$7k worth of debt between the two of us. This does NOT include my student debt of $20k+ in forbearance. There are 3 court judgements that we have in public records. The first one is $4k and the other two I have no idea where they even came from because I thought you had to be sued to get a public record but these just appeared on my report. The one for $4k is something that I really want to resolve, but we have absolutely zero money anywhere to do so. My car should be paid off in two months or so, and I would like to use the amount of money from my car payment to pay the debt. However $4k is a lot of money that we cant afford. Should we try to negotiate a settlement with the collectors? What is an appropriate amount? I would love to get $50% but not sure if it is likely. Can you do a payment plan with settlements or is it expected to be paid up front? Because if it is to be paid up front, it would be extremely difficult/nearly impossible for my husband to come up with that amount. it is just very stressful getting phone calls every day even though I have requested to the company that all correspondence be via mail. I want to pay them but there’s just not enough money. Once it is paid. Can it be removed from our reports? There are so many rumors about not paying off debt because it doesn’t help your credit score at all but I’m terrified of wage garnishment or more interest! I just want to settle! Would love to hear your thoughts on this matter! Payment plans on judgment debts are possible, but you are often not going to be saving money, as opposed to a lump sum offer. I have about $25,000 in credit union debt. I’ve seen that CU do not settle debt so I’m hoping on hardship plan. I plan to default in January so they’ll talk to me about hardship. I talked to Credit Counselor and they told me to consider Bankruptcy as my living expenses and debt payments are too high for them to recommend Debt Management Plan. My car financed with CU is $6000 underwater. Still owe $14,000. I’m told even if they let me sell it, I’d owe the balance of whatever the loan amount still is. They might allow me another loan to cover it, but I’m not sure that is best solution. I have an additional debt of $12,000 from other credit cards. Post a list of your accounts by creditor and balance. I can help you look at your options better when I know those details. I am not behind on credit card payments and my unsecured loans I have but now cannot afford to pay even the monthly minimum payments. Due to my husband’s medical issues, I now have responsibility for most of our necessary bills (utilities, rent, insurances, car, food). I listened to your suggestion of calling each creditor each month saying I can’t pay and wait until the 4-5th month to try to settle but that would most likely make my credit worse. My score is above 650 now. I know that might not seem too good but it’s been a lot lower. I am overwhelmed and feel like I’m drowning. To put it bluntly… you have a debt problem, not a credit problem. What cannot be paid… won’t. If you cannot make the minimum payments, your credit is hit no matter what. Settling for less then becomes a path to avoid filing bankruptcy. How short are you, with your income now, from making the minimums on the unsecured debts? What are the interest rates on the credit cards? I have debt from back in 11/2012 from a chase CC for 1465. I have two questions. First by paying this this will still fall off in 7 years from 2012? I have not received anything on this debt since 2015 with a cancellation of debt from chase so where should I start as far as negotiations. Correct. The paid collection will remain on your credit based on the 2012 date, and not the date you resolved it. See this article about collections dropping from your credit. The account with Chase is probably warehoused. You will have to call Chase and work the settlement out with them. I would typically aim low on debt the older it is. But when Chase has these accounts it can be tough to get them under 40% depending on the situation. Thanks for the response. I got it down to 600 so right at that 40% mark and it was fairly easy so I might have left some on the table but I am OK with the 600. My questions is they said they would NOT revise the 1099-C they sent me. Is this common? They worded it fairly cleverly that this was a “voluntary payment” almost like it was a donation to them so they would not revise the 1099-C.
Did you already account for it on a prior years tax return? You can amend a prior filing, or talk to your accountant about how to adjust for it. Yes, I accounted for it last year. So if I amend the taxes without them revising the 1099-C the proof of payment would be enough if I was to be audited? Talk to your tax pro about the formality of an audit. I have a merrickbank card that was placed to carson smithfield llc for collection. They sent me a settlement offer for 60% of the 7xx balance, which is around 467 dollars. Is it possible to negotiate with them for a lower amount? I know it’s a small balance and 467 doesn’t sound like a lot of money, but I want to try to make midland and lvnv a priority. I am in the process of settling with midland right now. And do lvnv offer something like midland? Where If I meet a certain deadline, they will keep it off credit report? Does my priority for settlement seem ok? Midland, lvnv, and then everything else. I would be keen on keeping Midland off your credit is ideal, so do that one first. LVNV does not currently offer the same type of credit reporting benefit that Midland does, though that could change in the future. How much is the balance on the LVNV account? How old is it? Is anyone other than LVNV collecting on it, and if so, who? You may be able to get Carson Smithfield to go a bit lower, but low balance accounts do not often settle for the best savings on a percentage basis. If you do get them to go lower be sure to get a new settlement letter from them. Thank you for replying. Midland is in a good place with negotiations right now. As for lvnv, they recently acquired the account from creditone so they haven’t contacted me yet. The account was charged off in August of this year and I think date of first missed payment was February. Thank you for the information on Carson Smithfield. I will talk to them and see if I can get a lower settlement and if not at least 400 even of 467. Depending on who is collecting for LVNV I would aim at 30 to 40 percent on this one. Thank you for replying. Lvnv is 1080 so I’ll try to start at 300 or so. I’ve had a few other lvnv and they were placed at mrs and they are really easy to work with. I’m hoping it gets placed with them. Just an update midland settled for 35% of a 1200 balance this morning. I really thank you for your advice. I’ve cleared up nearly half of my bad accounts using your advice. Michael, our son just started having his wages garnished unexpectedly. What recourse does he have since he’s not sure who it is or what it is for. It might be Arrow Financing but he’s not sure about that. He can’t afford his auto payment now so it’s a serious situation for him. First thing first is to determine what the judgment against him is about, and who it is from. You can search his name in the court record. Post an update with what you learn and lets go from there. There are ways to get wage garnishment stopped if you meet state exemptions. That is a formal process he can start with the court. Ask the clerk of court about that, or look over the paperwork your son got from his employer. Have you ever heard of Rushmore Services? They just recently contacted on behalf of First Premier Bank for a 1200 dollar credit card debt. I am currently in the process of negotiating with Midland but the holidays slowed it down a bit. However, things are looking good for settlement with Midland. Yes, I have. I would look at settling with Midland Funding first, and then Rushmore Service Center (if funds are tight), as Midland is who will sue. My Prosper loan got charged off yesterday. According to the representative , it will be sold off to a third party collection agency. I will be hearing from them within 150-200 days. Do you know who they sell their debts and what should I expect. Thank you! Prosper loans have been sold to Cach LLC in the past, but that can change. Save up as much money as you can in order to settle the prosper loan (if your goal is to resolve it). As soon as you know who purchased it, you can negotiate a settlement with the debt buyer. I called prosper today and my loan has not been bought yet by a debt buyer. It is in their collections dept. Any idea what they’ll settle for? I’ve only made 6 payments on a 22000 loan. If I can’t afford their settlement offer, will I have better luck with a debt buyer? Fill out the talk to Michael form in the right column. When I see that I will email you to set up a phone call. Settling Prosper and Lending club loans is in a bit of a flux. It is highly unlikely you will be settling with Prosper directly. Sorry!! Scratch that! I spoke to Prosper again today and they told me a settlement is not an option and that my account will be sold within the next couple of weeks. I found an article on line explaining that their delinquent accounts are “packaged together and sold to a single debt buyer at a specific debt sale rate”. I love hearing from you!!!! I have a debt of $5000 from Check n Go, $3100 from LoanMe, $3300 from Argon. All of the debts that I had borrowed just 3 to 4 months ago. I’m currently having a financial hardship, the past 3 months I had paid them with the minimum required amount (the minimum that creditors required me to pay each month), but this month (November), I’m kind of behind on my all payments. I have read some advertisement from Google saying that Debt relief program may help me to negociate settled amounts with creditors. But the thing is all my accounts are still new and have just opened within 3 to 4 months. As my understanding, to avoid which is called “fraud”, I need to continue to pay them at least 6 months period with the minimum amounts required by them before applying for a debt relief program. My question is: To avoid “fraud” and easier to negociate with all the creditors later on, can I continue to pay them with good faith payments, instead of full minimum amounts as they required, before I can start the debt relief program? If you cannot pay due to a hardship it is not fraud. It is called life happens. Do you have a consistent and dependable source of income? How long would it take to raise half the amounts owed? Yes I do have a consistent and dependent source of income, however, beside debts from Loanme, Check n Go, Argon, I still have other debts from credit cards (16k from discover, 8k from capital one), 16k from Upstart and also 6.5k from Ascend. Each month my all salary will go to all of the interest and minimum payments to all of the debts, thus my finance becomes extremely tight, and sometime do not have enough $ for food, gas, electricity, water, and phone bills. If I enroll in a debt relief program and stop all payments to all creditors, I may save 6 to 8k within 6 months. I’m trying to make good faith payments to some of creditors/lenders during enrolling in the debt relief program, but I’m also worried that they may sue me even if I’m in the program to pay them back about 1/3 or half of the amount owed. Do I need to make at least one time good faith to all of the creditors/lenders attached with my explanation about my hardship, and let them know that I will be enrolled in the debt relief program to resolve the debts? And also provide them the phone number and the address of the debt relief company? in order to “reduce” the later problem that they may sue me? I know we can not avoid if they are going to sue, but at least reduce it? There are more moving parts to your situation. Fill in the talk to Michael form in the right column. When I see that I will email you to set up a phone consult for anytime next week. Capital One listing a balance on a discharged debt. they sued and it was dismissed in court, but the balance is still showing and thus affects fico as it says 110% of available credit is used. How to have this amount removed before the 7.5 years time period? Is the debt with Capital One not valid? If it is, but the case got dismissed, it does not normally cause any change to negative credit reporting. You will have a very difficult time getting this deleted. If the account is not legit you are looking at having to file disputes with the bureaus and perhaps one with the CFPB. Thank you Michael. So that negative use of 110% of available credit would stay as it is until 7.5 years from first date of non-payment? Nothing else can be done to help raise the FICO? If that reporting from Capital One is legitimate, it is most likely to stay for 7.5 years, yes. You can often improve the situation by settling the debt so that it shows a paid collection. Last month we were served with a summons for Portfolio Recovery looking to collect from a Walmart credit card we had. I went online to see what I had to do. I found a site that said to file an answer. It was basically “yes I accept to #1, neither accept nor deny #2.” I mailed original to the judge specified at the clerk of courts, & copies to the attorneys & attorneys as indicated on there summons. However, I feel like I did something wrong. Now today, we were just served sigh yet another on from Midland Funding. I was great on all payments, but since 2012 there has been unexpected unemployment, a car accident, and we have a daughter with special needs that comes along with a lot of medical bills. Due to our current financial circumstances, we can’t afford a lawyer. My daughter is currently having medical procedures done, so that’s even more stress added. Can you please guide me on what to do? I’ll take any advice or help possible. Check out this post about settling with Portfolio Recovery Associates, and this one about settling with Midland Funding. If you could settle with each of them for roughly half the balances you are being sued for, how long would it take to pull that amount of money together? If you add up all of your unsecured debts, what is the total? Goal Structured Solutions I believe. I took the loan at around 21 years old for 70k (making 5 dollars an hour as a waiter at the time mind you on stated income) to go to a certified flight school called Quantum Helicopters in Chandler Arizona to be a helicopter pilot. This was a non degree related technical certificate program and to be considered job worthy in the industry it would have cost somewhere around 120k to finish. I walked away with a Private Pilates Helicopter license which I can do nothing with for hire. Since that time 10 years later, I have been in deferment through staying in school off and on and forebearance with AES and am reaching the end of my 24 month forbearance. Since that time I have accrued nearly 60k in interest with a total loan balance of 125k at 20 dollars per day in interest compounding with no cap at a 6% + interest rate variable for a term of 164 months maturing in 2030. My 1st payment is due in January of 2017 and is about 1200 per month for 14yrs. I net about 1400 per month after all of my deductions and my mortgage alone is about 1000 per month, I have no other debts besides my mortgage and not enough equity in my home If sold to put a dent in the loan, simply put I’m stuck and cannot afford my loan payment. I’m curious what you suggest, I already have called my loan company which is now serviced through American Education Service, and they can’t do anything for me on private student loans besides offer interest only payments essentially which would be stupid because the loan balance would never move and we’re talking about 600 bucks per month I don’t have. Do you have any ideas for me on private student loans and my situation and yes it was considered an accredited school for their program it was not through silver state helicopters which I know underwent a huge lawsuit having filed bankruptcy, my school was reputable but I can’t do anything with the pilots license and have nothing to show from it but a plastic card in my wallet that says I can fly a chopper. Any thoughts are welcomed. I’m curious about things like can they sue me after default, garnish wages in Arizona from my payroll, continue to charge interest, put a lien on my home, take equity from the sale of my home, etc? Thank you! Also I have no other debts besides my mortgage and no other assets besides a 401k and a paid of used car to get me back and forth, my total assets including equity in my home wouldn’t be enough to put a dent in my private student loan, please help any info is welcomed? I’m asking now prior to going into default so I can be educated on my options and strategize to the best of my ability. Thank you! Yours is a situation that may qualify for discharging private student loans in a chapter 7 bankruptcy. I would encourage you to locate a bankruptcy attorney that has experience with adversarial proceedings regarding student loans. There are not that many around the country that do that type of work, but read that article I linked to and tap into those resources I list there. There are knock on effects to the chapter 7, no doubt, but they are temporary compared to that loan. Can you tell me what a reasonable amount is to hire an attorney to resolve a debt when you are being sued? I cannot. It depends too much on the situation. You can typically call an experienced debt collection defense attorney for a no cost initial consult and get a quote. At 148 days late on a payment from Lending Club, I settled at $7300 for 12,000 that I owed. I will pay $4700 now, $357 for the next 7 months. ( verbal agreement; I haven’t signed anything yet) That was their bottom line after negotiating. The term charge off will appear on my credit report. My question to you is , should I let the loan get sold off to a debt collector or buyer for a bigger savings since my credit is already ruined? When Lending Club loans were being sold to Cach LLC for collections, I would have said yes, let the loan go to a debt buyer. But some of the most recent purchases of unpaid Lending Club loans have been going to Credit Corp Solutions. These guys are either new and do not really understand how to get their money back on a portfolio, or it is run by the type of people that ran Unifund (a very hard to work with debt buyer). The settlement you have with Lending Club now, is better than the one you could get with Credit Corp Solutions (based on what I see today with Credit Corp). But I cannot say for certain that is who would buy your debt. Did you negotiate that deal directly with Lending Club, or with Vital Recovery? Thank you for your quick response!!! I settled directly with Lending Club. They were very easy to deal with, I think I will stick to this plan because I am afraid of dealing with a debt buyer and the unknown. Thank you again Michael!!! Next up is settling with Prosper. They will only accept a lump sum payment. Do you know who they sell their debts to? Prosper has been very easy to work with as well. I am leaning toward settling with them because I fear dealing with a debt buyer even though my savings can be greater. List your debts you are looking to settle by creditor name, balance owed, and how many months late you are. If you only have so much cash to work with, it may be better to settle with one over another. If all you have left is the Prosper to settle, how prepared are you to pay a 40% settlement? I owe Prosper 22,000 and am 110 days late. I have only made 4 payments so they offered 15,000 lump sum to settle. I do not have that so they told me to try to make a few more payments to negotiate lower. Discover loan… 30000. I am in the process of setting up a temporary lower payment in hopes to settle somewhere down the line. I am surprised that they are very willing to work with me. Sofi…40,000. I am 1oo days late but have no funds to settle with them so I will do my best to come up with my monthly payments to buy me time. Do you know if they will settle for less using a payment plan? Check out this page for more about payment plans or settling with SOFI. Check out these two additional resources, debt relief options at a glance, and also get a feel for how debt relief impacts your credit reports. You appear to be standing with one foot in the settlement door, with the other in the hardship, or reduced monthly payment door. It is often better to pick a path. That may even include considering bankruptcy. Thank you so much Michael. I’m considerating the payment plan with Discover bc I’m afraid of getting sued. I spoke to Sofi today and they only offer hardship plans if you’ve lost your job which is not my case. You would contact the servicer of the furniture store credit card and request a good will removal of the late pay. There is really no point to sending credit report disputes based a couple days difference. What is it you are trying to accomplish that those charge offs are holding you back from? Okay, thanks. What are the balances owed on those unpaid debts? You have the right to dispute entries on your credit reports. But you may not want to do that given your goals. It is far better, and permanent, to resolve the debts. But you could need 25% or more of the debts. I have decided I need to let someone else take over negotiating debt settlement for me. I am just far to attached to how the debt was acquired and emotionally charged for me. Can you recommend a company to do this for me? Fill in the talk to Michael form in the right column on this page. I will see that and email you to set up a time to talk on the phone and go over your situation. I need assistance with resolving debt from credit cards. You are welcome to fill in the talk to Michael form in the right column of this page. I will email you to set up a time for a phone consult. What is the name of the credit card bank? You can settle this account at around 40%, and perhaps lower in some cases. You are too early for that now, and you also have to get the settlement done before it lands with an attorney. 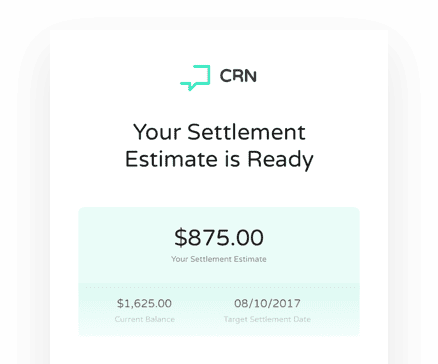 I am seeing Credit One settlements happen more often with debt buyers right now, which is fine. Thank you! I also have 2 chase and Citi cards and will be negotiating when it comes time. Is it stil necessary to call creditors each month to notify them of my hardship? Or should I lay low for a few months and then reach out to them around 90 days ? I am currently only suggesting one call and then laying low until settling closer to charge off. I recommend settling with collection agencies for Chase right now, so waiting for that to happen can mean not talking to anyone at Chase again. Thank you! I have a discover card too tha I know will be hard but it’s a $1100 balance. I’ll do the same with them in regards to calling but try to negotiate before charge off.? I read your post on discover. I would negotiating your Discover card in the last 2 weeks prior to charge off. But do you have any experience with first source advantage? They are collecting on one of my wife’s capital one accounts. Balance is just a little above 700 dollars. Check out this page about settling with First Source Advantage. Thank you for your response and thanks to your previous advice on my issues, I have started organizing the debts I want to deal with first. Midland funding when they contact me will be the priority. I don’t quite have enough to settle any yet, but am getting there slowly. I started budgeting hard and have been able to save about 250 in about 2-3 weeks of budget cuts. I do have additional questions. I have a paypal credit account that is currently in collections. Simms Associates is collecting for paypal. They sent me a dunning letter I think? They say paypal has authorized them to accept 1500 for a 2200 dollar debt. Do you think it is possible later on along the lines to negotiate for a smaller settlement? Not sure if you have any experience with Simms Associates, but should they be a higher priority? Also, my guitarcenter/synchrony has gone to CAC financial. I tried looking through your blog to see if you have any posts on them, but didn’t find any. Do you have any experience with them and difficulty in getting a low settlement? My debt with them is about 1200. The PayPal settlement with Simms and Associates would not be a higher priority if it were me. You can often get a better deal too, along the lines of 30 to 40 percent of the balance owed. I would look at settling the CAC account at 40% or better. Thank you for your response. My goal right now is to build up a small savings and when I have enough to offer settlements on certain accounts. Higher on my list would probably be the accounts sent to midland. I have spoken to some that has called an told them I am going through financial hardship. Surprisingly one of the few has even hung up on me after I told them I don’t have any money at the moment. It would be great to settle the paypal account for 30-40% as that is the highest balance of everything I have. 2,200 dollars or so. CAC just recently sent me an initial collection notice, so I’m unsure if they have actually bought the debt or collecting on behalf of Synchrony. I have to admit this is the first time being in such a terrible situation financially and with credit. Of my 11 cards only 2 are current which are both capital ones and they are actually closed. I’m hoping to dig myself out by this same time next year. Your blog gave me alot of hope and helpful resource. At first I was panicked, but in the grand scheme of things I think 10,000 dollars is alot of money of course, but possible to dig out of. I just hope over the course of the year as I work through settling and dealing with it all I don’t get an account sent into litigation first. Sorry to continuously ask questions, but do you know anything of Halstead? I tried searching your blog to see if there was info on them but couldn’t find any. I was recently contacted by them, but didn’t answer the phone as I was working and my wife has our phone at home (we use one phone to cut costs). They didn’t leave a message or anything so unsure who they are collecting for at the moment. Halstead Financial Services LLC (HFS) is a legitimate debt collection agency. You will need to talk to them to find out who they are collecting for before I can offer much feedback. Halstead called again and I was able to pick up. They are collecting for comenity capital bank for a Gamestop card in the amount of just about 700 dollars. What percentage would you advise to try and settle this for when it comes time? In many situations, smaller balance accounts do not settle as well as others. Check out that article for more on the topic. You may find you need to settle for half or more than the balance owed. I just read that post and thanks! It gave me some clarity on my plans. I am more fortunate than many in that my highest balance is just above 2,000. I just wanted one more opinion on my plan. I had planned on settling my accounts between 900-2000 early next year when I have funds (Brother owes me money from before my credit issues and will pay me back during tax time). He owes me just around 4500 dollars. If I use that to settle the bigger balances 900-2000, and save whatever is left from settlement and slowly start to knock down the small balances either one or two at a time while continuing to save money (my main goal is to have at least 3-4 months worth of backup funds in the event I lose a job or get injured or anything like that), so I would have financial obligations satisfied while I look for new work. Is that a good way to go about it in your opinion or should I settle as much as possible as soon as funds are available? Thank you for always offering such great point of views and advice. So far your blog has helped my wife and I with planning out our financial goals by a significant amount! Can you tell me what your small balances are, and if you are already late with payment on those, by how much? I have a total of 12 accounts, 2 are in good standing. 1 Hasn’t appeared on my credit yet (I think paypal credit takes quite some time after it is sent into collections to show up. I believe credit control is collecting on their behalf or CAC Financial). This is basically what I am looking at right now in terms of attempting to repay and rebuild. 1,140-1800 – 5 accounts that range from this much. 456-940 – 4 accounts in this range. I have managed to save capital one and discover accounts as they worked with me and allowed me to make smaller payments for a year. Thanks. I would have avoided falling behind on those balances under 1k. But now that you are that far behind, settling is necessary. I would knock down as many settlements as you can, and move on with an emergency fund when the debts are out of the way. I received a letter from Advanced Call Center Technologies on behalf of TJX Rewards Mastercard. My last payment I was able to make was in July. I have a total balance of $4124 and a current due of $641. What is my best way to proceed with them. I am not able to pay even close to $641 right now. What can you afford to pay? Are there other debts besides this one that you have to contend with (whether late or current)? How much do those all add up to? Yes, I’m actually behind on almost every account in my name and have a debt of more than $30,000 in just cards and personal loans. It’s become too much or actually impossible to try and juggle on my own. I only mentioned the above because it’s the first one I have received a collection letter for. I am very stressed and want to be able to work with them the best way possible but I am nervous to call before I know what to do. My available funds are very very limited. We are living week to week and day to day for sure. You may want to talk with an experienced bankruptcy attorney about filing chapter 7 before doing anything else. This option offers the quickest and least expensive path to resolve the 30k worth of debt. If you cannot file chapter 7, fill in the talk to Michael form in the right column on this page and I will email you to set up a free phone consult to see what else can be done. I have paid to have access to my 3 reports each month, I also use credit karma. today on credit Karma it said my chase bank credit card has been removed, it was 10/2009 said it was removed per Equifax. but when I sign in to my Equifax report and updated the report to todays date it has not been removed. why is this? is credit karma wrong? please help? I made a payment 9/2016 to almost pay chase bank off. Without looking at all that you are, I cannot say. But Credit Karma is likely to be the culprit here given the limited info you shared. A bunch. Fill in the talk to Michael form in the right column and when I get that I will email you to set up a phone consult time where we can go over things. I receive a order for substitute Service for 3618,22 and 100,000monetary relief I have 14days to write letter please advise. Please provide more details Angela. Who is the named plaintiff suing you? What collection law firm is handling it? What are your goals for resolving this? I have been on a DMP for the past 13 months. 3 of the 6 accounts within the program are Home Depot/Best Buy via Citi. Last May, 1 of the 3 accounts got kicked off of the DMP for late payment. The $73 monthly payment (per DMP agreement) has continued to be paid to this account. Unfortunately, each month they have hit me with an $35 fee + 25.99% (DMP agreement was 9.99). Consequently, this bill which was approximately $3000 when i began DMP, 13 months ago, now sits at $2982. I have spoken with someone in hardship and they say there is no way to get account back onto DMP and they cannot negotiate any relief from the $130 fees or 25.99% interest. So, here is my question. I am closing on sale of home on Dec. 1st. I had intended to pay off this bill in it’s entirety, at that time. However, I have a $302 minimum payment due, today, to make it current. I do not have this money, but was planning to pay the $73 payment. But seeing as it’s in collections and I will still get hit with another fee for not paying entire minimum, should I even bother? Also, when do have the money to pay off bill on it’s entirety, it seems I should just let them send it to a collector, because they seem completely unwilling to make any concessions and they have already crushed my credit score. Thank you for your time. How is this item showing on your credit reports today? As a 30, 60, or 90 plus day late pay? I dont have a current report. Is there a free service (or inexpensive, non-recurring) that you would recommend? Or do they all just have free trials? You can access one free credit report every 12 months from Equifax, Experiean and TransUnion at http://www.annualcreditreport.com. I had a Citibank student loan which was charged off and removed from my credit report. It has been over 7 years. I recently moved from CA to Texas, and today I received a letter from Citibank stating how they share my information? It was charged off when Citibank was in the verge of collapsing. A collection agency called me once and I told him to call me back and I never heard from him or Citibank again until today, Oct. 17, 2016. The loan was charged off in 2008. What does this letter mean? It’s very vague and I have not taken out any new student loans with Citibank, but I have taken out a new federal loan which is in good standing. Are they trying to collect? It says nothing about a balance, just a general paper on his Citibank shares their customers info. I thought Citibank doesn’t even issue student loans anymore? If that old Citibank debt was a private loan, it is pretty much in your rear view mirror now. But that old debt is still collectable. It does not disspear even though you can no longer be sued for it, and it no longer appears on your credit reports (check to make sure it is not there). Thanks for the response. No, it is no longer on my credit report. I am just wondering why they are sending me a vague sheet on how they share my information. Can it reappear on my credit report? I filed for Chapter 7 bankruptcy in CA in 2010, but the student loan of course was not included. I currently am enrolled in school and my father took out a loan for me in his name but I have the living expenses in my account. I’m just wondering if I should run down to Chase, and withdraw the money in there? If they have not sued you already, they should not now. And after 7 years the account should stay off your credit reports. If it pops back up let me know. I just checked all 3 bureaus, and the loan is still on my Equifax and transunion. Not experian. I disputed it with equifax. Was that bad? Not bad at all. Check out this page about DIY credit report disputes. Do the same thing with TransUnion. Let me know the results. If they do not remove we can go from there. Assume you could settle all debts for half the balances owed. How long would you estimate it will take to save up that amount of money? I was reading over your blog and lots of great information. I also found many posters have common creditors. I wanted advice as well. I currently have 4 closed accounts. Creditone, merrickbank, bank of america, and amazon store card. I lost my job for a bit and took whatever I could to get back on my feet. Paying the cards just weren’t possible. I want to settle those 4 when I get my tax refund. I just started getting letters that amazon and creditone were sold to midland credit management. I saw on your blog they are likely to sue. I haven’t been contacted by either as of yet, but wanted to know what course of action to take once they start contacting. I know it is impossible to determine, but what do you think my risk of being sued before tax time is? I have a private student loan I’m current on, car loan I’m current on, 2 capital one I’m current on, and federal loans in deferment. Do you think it will be possible to settle everything for 50% of less by then? You are at risk of being sued by Midland prior to April. You also will want to take advantage of credit reporting policies at Midland Funding. Call me to go over how you can settle with Midland for less, with little money down, and stop them from showing on your credit reports. You have a window of opportunity that I talk about on that other page. You can reach me at 800-939-8357, ext 2, or by filling in the talk to Michael form you see on the right side bar of this page. Thank you for replying. I will try to call you on my day off which isn’t until Thursday sadly. I am trying to save money to offer some kind of settlement, but I am still getting back on my feet. In January I plan on selling my other car for around 2000 to my sister. Do you think I have enough time? I haven’t been contacted by midland yet other than being sent a letter from amazon and creditone that midland bought my accounts. I want to avoid payment plans and settle. My balance for midland creditone is just ahove 1,000, amazon store card just above 900, merrick just above 600. I want to settle as low as possible, but for the next few months I’m basically in the negative until I move. I’m moving to a Lower rent and will be able to save around 250-300 extra a month. When I sell my car I want to settle low so that I can have re rest for back up funds. That way I don’t get into these mess again. Thanks for the advice. Is it OK if I ask you questions here until I can call you? No worries, call when you are able. As you can see from reading that dedicated page I have up for resolving debt with Midland, there are opportunities to take advantage of in the first couple months after Midland Funding buys your debts. You have enough time to come up with money to avoid a lawsuit. Midland will settle and offer monthly payment terms with the settlement. I like that option with them over other debt collectors due to the credit reporting benefits. Do midland likely settle for 50% or below? I plan on talking with them when they contact me, but I don’t want to risk getting into a situation. Where I would default again. I want t have it settled by February at the latest, but not sure if I will have enough time between now and January to deal with it. I live in texas. I seems midland is becoming a very big presence in the Texas area. Also, just out of curiousity what puts another person more at risk than others when it comes to being sued? My account was closed and sold to midland sometime last month date of default being sometime in January. There are a host of reason why someone looks more collection worthy than another. Check out this video I did with a former debt collector about what collectors see on your credit reports. I do see settlements with Midland for below 50%. I understand the need to wait until February to fund your settlements in full, but would encourage you to get your settlement documented with Midland in the first 90 days they get your accounts. They have a policy of not placing collection on your credit reports if you do that, and that is a huge benefit to you that you will want to take advantage of, as it is silly not to when you are going to settle anyway. I just got a paper saying discover sued me. I’m not sure what to do because my limit was 500$ and I’m not sure how much I owe as of now. I’m in college and I barely cover my rent and utilities. I’ve never gone through this so I’m having full on anxiety attacks because I don’t know what is going on. Please help? I’m up googling what to do, but nothing is giving me assurance or guidance. Also, I’m located in California. I have a page up dedicated to dealing with Discover accounts at all stages of collection. Read through that, and the comments. Let me know what your goal for resolving the account is afterward, and lets go from there. I contacted you several months ago about two judgements that I had from two unpaid credit cards totally over $17,000.00. You took the time to talk with me on the phone more than once. You spoke to me with respect and understanding without judgement. I wanted to let you know that I was able to successfully satisfy both cards. I can’t tell you how much your advice but more importantly your encouragement was to me. Many thanks to you for sharing your heart and passion to help people. I would like to buy you a cup of coffee if you still have that option. Congratulations Catherine! And yes, you can scan the right column of any page on the site and click the coffee tab if you like. I also encourage you to rate the site using the review tab at the top. I owe $16000 on a Discover card that was turned over to Smith Debman law. I was sent a letter to from them letting me know that they had a judicial proceeding against me. I cannot come up with money to settle and I said I could send $100/mth. They wouldn’t accept that and said payments were only possible if I paid the full balance in 3 years. I owe $40000 in medical bills (daughter had an accident and needed surgery, didn’t have insurance at the time), a property I had was recently foreclosed on, and my wife has student loans. We also have a couple other credit cards that have around $8000 total on them. Is there a way out of this!? Very stressful. Should I file bankruptcy? I would start with a bankruptcy consult before doing anything else. If for some reason you cannot or will not do a chapter 7, let me know and we can schedule a consult to go over alternatives that may make sense for you. Is it possible to negotiate monthly payments with blatt hasenmiller? Recieved letter requesting full balance.. Responded by mail and no response.. Is it best to call and how is it best to negotiate? I recommend negotiating on the phone first, and then get everything in writing before you pay. What is the original debt about? When did you last make a payment? What state are you in? I can offer better feedback once I know the answers to those questions. Fill in the talk to Michael form in the right column of this page Cory. I will email you to set up a time to connect on the phone. I will help you figure out if settling the credit card debts solves your over all problem, or if settling the student loans with Wells Fargo is the better path. It may be a combination of both. Thank you for the great resource you provide! I am about to enter into negotiations with Wells Fargo credit card on a 22,000 balance that I have not been able to pay. I haven’t made payments in 6 months. I’m thinking of aiming toward the 25-30% settlement with net 90 terms. Can you give me any insight or pointers please? Call in for a consult Ric. I just edited my review of the top 7 banks for settling debt article. Wells Fargo went from 3rd place to last! You can reach me at 800-939-837, ext 2. Hi Michael, I have a private student loan for $10k from 2002. There was a time I was unable to pay and the loan was charged off…although Navient lists the loan status as repayment, I am fully aware that it was charged off due to default. Over the years, I paid small amounts here and there, even making a payment of $200 as recently as early Aug, 2016. The total payoff is $18k. I would like to buy a house and would like to clean up my credit. Should I attempt to settle this debt for a discounted amount? How would settling impact my credit? Would I be able to ask them to remove the charge off completely if I settle? Did I restart the clock for credit purposes every time I made a payment in the last 7 years or alternatively should I just write to the credit agencies directly and ask them to remove the debt since it is over 7 years old. You do not reset the credit reporting limits with payments you make on a defaulted account in collections. When did you stop making regular monthly payments? Are there other negatives on your credit reports besides Navient? Check out this article about resolving debts to get your FHA loan approved. You are going to want to negotiate and settle the judgment. How much was the judgment for? What state are you in? I have some old debt that I had stuck my head in the sand about (more or less) I have had a bank levy placed on me and my wives joint account. It wwas from an old court settlement I ignored. I was never served but received some stuff from creditors and disregarded it. anyway the account is settled I think but it is at lest 2x the original debt amount. With recent credit reports I don’t see any negative info but I have received some collections notices in the past year. How do I make sure nothing else sneaks up on me again and at the same time pay unnecessary charged of old debt, by calling the collectors? Call in for a consult at 800-939-8357, ext 2, or fill in the talk to Michael form on the left side of this page so I can exchange emails with you about a good time to talk. The judgment debt may be too old to be seen on your credit reports, but it is likely still there and able to be collected on, or otherwise disrupt your like. It was good to connect with you on the phone Isabelle. Safe travels, and less stress now that the collection account with Midland is handled. Hi Michael … question about how long a foreclosure stays on my credit report. I stopped making payments to Chase in December 2008, and the foreclosure process started soon afterward. Chase filed a “Notice of Default” about April 2009. For seven years after that point, the missed payments showed up on my credit report, although there was never any notation of the foreclosure itself. I just noticed that the missed payments are no longer on my credit report — which makes sense, because it’s been over 7 years since the April 2009 default. So my question now is: if I let the foreclosure proceed to completion (sale), will it go on my credit report as a “foreclosure,” meaning it will be there ANOTHER seven years? This is really important and could dictate what I do with the house … thank you! If the foreclosure becomes part of the public record, it can stay on their for 7 years anew. Talk to a foreclosure consumer law attorney in your state and ask about the court reporting standards for non judicial foreclosures. That will ease your concern. I had defaulted on a $10k Amex card debt, it was written off and the debt sold to Asset Acceptance then after failing to collect filed and was awarded a judgement in 2010 for $17k sold the debt to midland credit management who has since then attached legal fees and interest totaling approx. $23k. Earlier in the year I was summoned to court for a wage garnishment although awarded produced zero revenue for MCM. After the court hearing I attempted to offer a verbal settlement to their subcontractor attorney for $2.5k (considering I was receiving settlement letters from Asset Acceptance for around $5k) however he advised me that he didn’t have the authority to accept anything less then 70%. Recently on the myfico forum I’m reading that some law firms deviously attach late fees and such before attempting to obtain judgements, is it too late to review this at this stage and I’m interested in learning the lowest percentage that MCM has been known to accept for judgment debts and provide a satisfaction and release of judgement order. I read one post where a member wrote that MCM won’t accept below 40% for collection accounts however in my case it’s a judgement. I haven’t received anything in the mail from them in a long while, should I contact them and inquire, perhaps this would revive written settlement offers for less than face value? It is exceedingly hard to reopen a case that was decided that long ago. If your goal is settling, you can often do better than the 70% the law firm is sticking to right now. Call me for a phone consult and I will dig into your situation more and give you a target to settle for. You can reach me at 800-939-8357, ext 2, or submit the “Talk to Michael” request form in the right side bar of this page. I have a us bank credit card with a balance of 9170.00. I have another unsecured loan with one main for 11k (pay off). I currently have lost income till December and then will be back on track. One main agreed to lower monthly payments until December. US bank wouldn’t not talk to me about a temporary hardship plan because I’ve not missed any payments. They put me in contact with Green path credit counselors to settle the debt. How can I get a temporary hardship from us bank? Thank you. You typically will have to miss a payment to US bank (and others) in order for them to consider you for a temporary or long term hardship plan. You may not have to go 30 days late to get them to agree to a lower monthly payment, so your credit may not take a hit from that. Check out my post about hardship plan warnings too. You may be able to use Greenpath to get on a DMP with your US bank credit card, and other debts too. Going that route may not require you to be late with any payments. I have a question about a debt that has recently been removed from credit report in 2015. It was an older debt that was unpaid since 2007. I now have a debt collector contacting, harassing and threatening me with being “served” and arrested. The agency name is Recovery Services out of Oklahoma. I’m not understanding why I am being contacted if the debt has been absolved from my credit reports. Should I contact this agency? Im terribly confused and concerned. Debts do not become uncollectable once they are removed from your credit reports. You can still be called about paying, and may still get collection notices in the mail. If the time allowed for in your state in order to legitimately sue you has passed, and the debt no longer appears on your credit, it is considered zombie debt. Watch this linked video about zombie debt – it will help you understand what is happening and what you can do from here. Hi Michael, I received a letter from a debt collection agency offering a 90% discount on a time-barred debt. I have been educating myself on this subject but seek professional opinion. In the letter they state “Because of the age of your debt, we will not sue you for it, and will not report it to any credit reporting agency as unpaid.” The letter also states clearly “The (SoL) for suing you on this debt has expired.” My question is, is that sufficient enough wording for me to be safe from restarting the SoL on the debt if I acknwledge and pay the reduced amount? I live in NY. Thanks. Generally speaking, if you go for the settlement offer and meet the offer pay by date, you are good to go and would not reset the SOL for them to sue to collect. Just be sure you are resolving the debt. Who is the original creditor and the debt collector involved? I have an old hospital bill of $1,076 that my health insurance didnt pay for a CT scan..An attorney is handling the collection now and I received a paper that it goes to court on June 20, 2016..I do live in Kentucky..Is it too late to try and settle with the lawyer as I wouldnt care if they garnished my check as I pay child support and they wouldnt get alot per week..But would hate to have the mess of possibly getting my bank account frozen or anything.. Check out this video I put up recently about settling medical bills and illegal discounting. It is not too late to settle or make an arrangement. And it is likely better to work something out now, as opposed to later, but make sure it is something you can follow through with. Hello! Have a Sallie Mae private student loan now totalling over $100k. Loan payments are $900+ a month. Recently noticed loan has been removed from my credit report. Been paying $150 month to debt collector. Should I continue to pay this or any amount if loan is now off my credit report? Who is the debt collector you have been paying? For how long were you making those $150 payments? I can offer better feedback about the credit reporting if I know the answer to those questions. I highly recommend you review this article about dealing with Navient private loans (formerly Sallie Mae). You may also want to check out this video about settling private student loans. Call me for a quick consult Erin. I want to dig into some details that could help me better suggest your next steps. You can reach me at 800-939-8357, option 2. Negative credit reporting typically drops from the bureaus after 7 to 7 and one half years. If your private student loans have been in default, with you paying less than the required minimum for over 6 years, suggests you were in default for a little while before starting up the $150 payments. With each payment you have likely reset the SOL to be sued in court for collection, but you do not renew the credit reporting limits. Stopping payment could potentially mean little when it comes to the credit bureaus, but could cause a whole new set of problems if you do not have a plan. I spoke with the Collection company, and he told me $2750 dollars from the 4,100 that I owe. Should I call back tomorrow and say I can do $2250 or should I just pay it. I am looking around 30 percent from the original price. Also, I asked him to send this via e-mail and mail. How should I proceed from here? I would still be looking to negotiate a better savings with the debt collector. Hi, I recently started falling behind on credit cards because of a big reduction in income. I had a discover card and was 2 months behind. They offered to reduce my payment to 40 dollars from 60 a month. The balance I owed would be split into 4 months of 60 dollars until paid in full the it will go to the new lower rate. HOWEVER, I am behind with capital one and bank of America. I have bank account with bank of America. I am terrified that will start taking money from my personal account. I am behind about 2 months maybe 3 on bank of America and about 3-4 on capital one. I want to call them and discuss hardship terms. Is there any chance at all that they will be able to let me restart payments at 25 dollars and something easy enough to pay to catch up? I cannot make the past due balance and that is what concerns me. My income will go up in August, but I am afraid by then my accounts may be closed and I won’t have a chance to start paying them or that my late fees will be so high I can’t make it? You can often get banks like BofA and Capital One to agree to lower monthly payments when you have already fallen behind. Call both banks and ask them about if you qualify for a hardship payment plan. They may not be able to qualify you if you need too low a payment approved, or if your current income and expenses show you could not sustain the lower payment amounts. If you cannot get all credit cards lowered you may want to see if a nonprofit credit counseling agency could help. Consolidating your bills with a credit counselor can sometimes qualify you when you cannot get all of your credit cards to lower your bills, or when they only offer short hardship plans, and you need the lower payments to last for the life of the balance. If you qualify for the plans, be sure to ask about how they will reage your accounts if you pay on time for so many months in a row. The credit counseling route will usually have that benefit built in. Hi Michael , Do you provide advice to residents in Australia? Only if the debt is US or Canada based. The Debt is with Citibank. I am guessing Australia. I am guessing you don’t know of any agencies I can talk with in Australia, Places I have contacted want to charge me $2k to assist with clearing the default, with a portion due up front and the balance if they are successful. Sorry, but while I am very familiar with resolving Citibank debt in North America, I am not up to speed on processes in Australia. Bank of America, like other banks, will run periodic reviews of account holders credit reports. You do run the risk of the business accounts being considered high risk if you are not paying personal accounts. Review my article about settling business debts and see if it makes sense to include those accounts. There are work around strategies that I can discuss with you when you schedule a consult. I have a judgement in the state of Maryland that is scheduled to fall off in 5 months. Should I pay it? If I do do I pay it at the courthouse? Would this way make it come off of my credit report quicker? Thank you for your assistance. I generally recommend settling judgment debt for less than what you when you can. Even if the judgment falls off your credit, it is still legally enforceable, which means you are still at risk of a lien, levy, or garnishment (as each may apply in your state). Start reading through my original creditor debt settlement series. This will give you the foundation and basics for what to do, when, and with who. Post your questions and concerns at the bottom of each article as you go. Capital One sues more than any other credit card issuer in many areas of the country. Once you read through the debt negotiation guide you will likely want to target them first. My husband and I have gotten ourselves into financial trouble with credit cards. We filed chapter 7 in 2008. We were both working min wage jobs and surviving with the help of credit cards. After cashing out 401ks to pay bills and exhausting all resources we filed bankruptcy. After reading your site I know that we should not have taken out the retirement funds. Anyway, we rebuilt our credit and purchased our first home in 2011. We both have decent jobs now and make lots more than we did in 2008. Lack of self control and poor spending habits have landed us in the same boat. We have borrowed against our 401k, taken out 2 consolidation loans, and have 11 cards maxed. It has gotten to the point where we can no longer afford the minimum payments. We have been looking into debt settlement and I think that is the best option. I know it is risky. My husband is dead set against bankruptcy. I am very ashamed of our situation. We did not have a medical emergency or a loss of employment like some people. Our situation is strictly living above our means. We let it get to the point where we were using our entire paychecks to pay the min payments and then using the cards to pay for household expenses, groceries, gas, food. We enable each other. The stress is so much that you’d think we’d stop but nope. I’m slightly relieved that the accounts are maxed. I am ready to learn how to live on my income. I am going to get some financial counseling for myself. I feel extremely guilty about the situation but it is mathematically impossible for us to pay what we owe at this point. Give me a call this coming week so I can get some more details from you, and I will make some recommendation to you after that. You can reach me at through the hotline at 800-939-8357, option 2 rings to me. I have a default judgement against me from Midland funding My bank account has been frozen the amount for the judgment is $ 780.00. I recently contacted there law firm to possibly get my account out of freeze, & to work out a plan of payment that will work- according to my payroll checks. I have one income on a biweekly pay period. The companys law firm. When I called, the employeer a messages concerning this matter. I’m waiting for a response, my bank told It with be 28days before my funds are released what should I do at this point, inconclusion I had missed the court date due to medical illness and new medication from my doctor. How much did they get from the bank account levy? How much was in the account total? Now that I have a couple of settlements behind me and two left to go I’m already thinking of how to get my credit report looking better. I’ve seen a lot of people referring to the good will letters for removing the late pays what are your thoughts or experience with this? Also, does the statement settled for a lesser amount offset the late payments being removed? I should have a dedicated post up about good will letters. I will write that today or this weekend and send you the link. A good will letter to try to get late pays off now will not work for you, and they seldom work at all, but there is an occasional success when people bring their account current. Settled for a lesser amount is as good as it gets most of the time when you negotiate a lower pay off. This does not offset anything, but allows your credit to heal over time with a paid collection. If you could also address your thoughts on section 609 of the FCRA that’d e great too. Is it possible to actually have the account removed from your credit file if the verification isn’t at the CRA? There are a lot of sites are there selling the info and/or service but does it actually work? As always thank you.